Welcome to Vollrath University. I'm Chef Rich and we're here in the Vollrath test kitchen to discuss the features and benefits of the Vollrath LidSaver 2 dispenser. 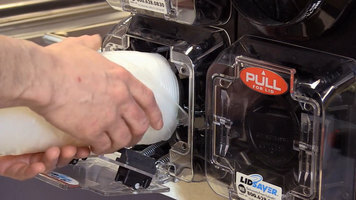 Proven to eliminate the messy, unsanitary, and wasteful pile of lids often found at self service operations, LidSaver 2 builds on the substantial health and cost benefits of the original LidSaver dispensers. In fact, let's take a look at the impact LidSaver and LidSaver 2 are making by mitigating health, safety, and waste concerns. LidSaver saved a major chain 30% on lid usage. 80% of all infections are caused by touch; on average, 25% of lids in traditional dispensing systems are contaminated with bacteria. On averaged, LidSaver 2 reduces yeast and molds by 99%, reduces bio-burden by over 40%, and reduces lid waste by up to 30%! LidSaver 2 is the perfect way to keep traffic moving at busy self service stations. With its easy-to-use one-handed operation, LidSaver 2 not only meets ADA requirements, it also prevents excessive handling, exposure, and contamination. 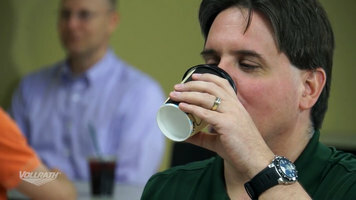 It's patented designed dispenses flat, coffee, tabbed, and domed lids in a variety of sizes, ranging from 1 3/4" to 4 3/4". LidSaver 2 helps keep operations neat and tidy addressing major consumer concerns about health and well being. Studies shows only 5% of people wash their hands long enough to thoroughly to remove harmful organisms. In self-serve applications, customers hunt for an untouched lid, touching and affecting several lids in the process. LidSaver 2 eliminates this unsanitary ritual by dispensing a clean, untouched lid every time. Plus, they reduce labor clean up costs by keeping counters free of messy stacks of rejected lids. LidSaver 2 is a patented solution designed to dispense sanitary lids while reducing labor costs, resulting in a real return on your investment. Each unit holds nearly a full sleeve of lids, reducing the frequency of re-stocking. LidSaver 2 can be field converted from the factory calibration to accommodate virtually any size or type of lid in a matter of minutes, and the high tech appearance will enhance the aesthetics of your beverage service. With a new design and fewer parts, LidSaver 2 is easier to maintain, plus an easily removable face plate makes cleaning the unit a snap. If you're looking to make a big impact with a smaller footprint, look no further than the LidSaver 2 mini. It offers the same sanitary, cost saving, and consumer benefits as LidSaver 2 and it accommodates a wide range of cup and lid sizes. 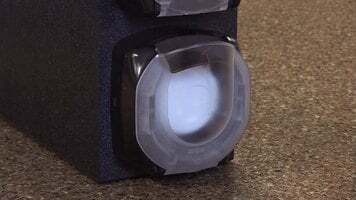 To show your customers you care about their safety and increase your bottom line, look to LidSaver 2 from Vollrath. to learn more of this or any other Vollrath product, visit us online at Vollrath.com. LidSaver 2 builds on the substantial health and cost benefits of the original Vollrath LidSaver dispensers. Learn about the many features and benefits of the Vollrath LidSaver 2 dispenser by watching this video! Watch this quick video tutorial on how to properly load lids into your Vollrath LidSaver. Try not to touch any of the lids while loading them to ensure sanitation for guests. Did you know that 80% of infections are caused by touching a contaminated surface? Just imagine how contaminated that means the lids at your beverage station are! Check out this video to learn more about lid contamination and what you can do to drastically reduce the spread of bacteria. Keep self-serve beverage stations clean and hassle-free with the Vollrath LidSaver 2! This single lid dispensing system keeps customers moving quickly and eliminates cluttered lid piles on counters. Keep customers satisfied with the LidSaver 2!